Photographer Paccarik Orue moved to San Francisco in 2008 after struggling for a handful of years in Miami, Florida as a recent immigrant to the United States. 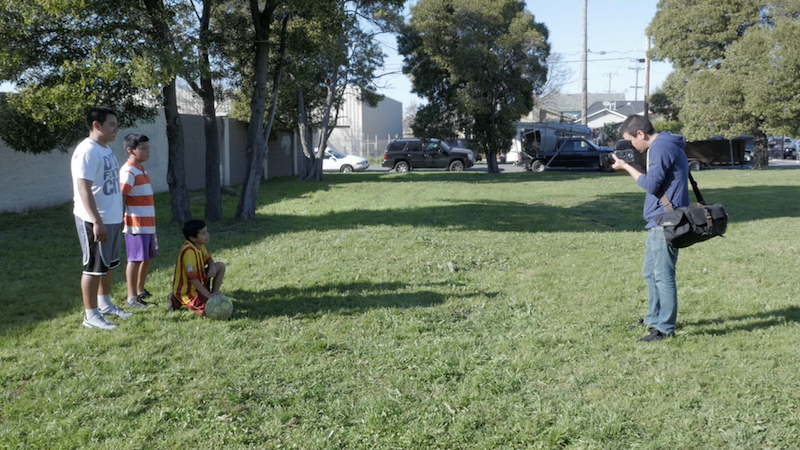 Far from his birthplace in Lima, Peru, Orue found solace in and forged a connection to some of the Bay Area's most neglected neighborhoods: Bayview-Hunter's Point and Richmond. "Because of my own immigrant experience, I seek communities that may be struggling and experiencing things that I can relate to because of my background," Orue said. In this episode of Art School we visit Paccarik in the studios of Rayko Photo Center where he is currently an Artist-In-Residence. We also tag along as he makes photographs in the Iron Triangle neighborhood of Richmond, California. From 2009-2011, Orue photographed residents and structures there for his book titled, There Is Nothing Beautiful Around Here. Orue also introduces us to his latest body of work which is centered in the city of Cerro de Pasco in his home country of Peru. Cerro de Pasco is one of the highest cities in the world, perched atop the Andean Mountains. Even though he has returned to his homeland, Orue feels like an outsider. He said, "People pick up right away that I've been away for so long. Because you are from another place, they are willing to share their culture and invite you to experience things that you might not be able to come across. I like to think of the camera as the connecting point that takes me there to live those experiences and create the images I do." At Rayko Photo Center where he is an artist-in-residence, Orue also demonstrated how to scan, clean, color-correct and print photographs from medium-format film cameras.